The summer is a critical time in a young athletes career. It is the time to train and focus on enhancing physical qualities. As kids age, sport specific skills get harder and harder to improve. However, physical abilities (size, speed and strength) still have a significant window for improvement. The athlete who trains properly and increases his size, speed and strength becomes more powerful. As a result, he is able to maximize his sport skills for the upcoming season. This is the athlete who performs at a higher level than his competition, recovers faster and remains healthy throughout the season. As an All American Linebacker at Boston College and 3 time pro-bowl linebacker for the Detroit Lions, I had the awesome opportunity to play, train and learn from great athletes, coaches and trainers. I never forgot those words and that is the inspiration that led me to create the Stephen Boyd Get the Edge Strength & Conditioning Program. 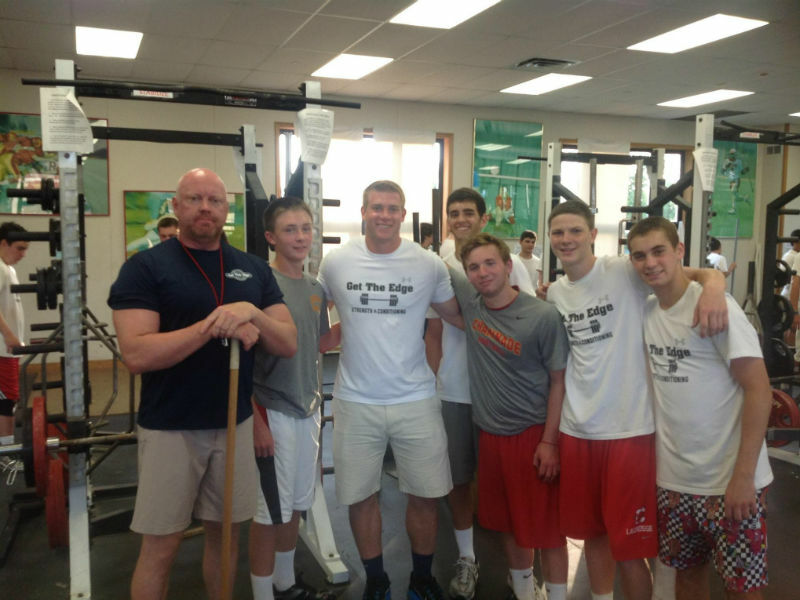 An athletic enhancement program for male high school athletes ages 14 – 18 devoted to teaching young men how to prepare mentally and physically for their upcoming athletic season. Our Summer 2019 strength & conditioning camp features a Special Early Registration Discount and will include 2 unique programs! Each is designed specifically to maximize your success and allow you to build a solid athletic foundation while staying focused on your individual goals. 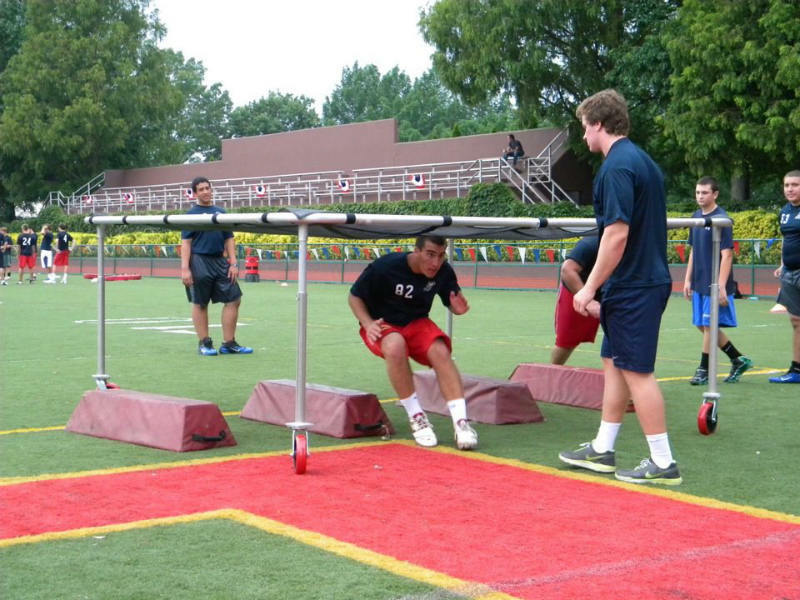 Programs are conducted at Chaminade H.S. in Mineola, NY from July 9th to August 16th. Our 2018 program included athletes from the following sports: Basketball, Baseball, Football, Hockey, Lacrosse, Soccer, Swimming, and Wrestling. I am so proud to offer my summer camp for the 8th consecutive year and look forward to helping you Get the Edge! In April I had the privilege of coaching 20 of the best high school linebackers in Texas and Louisiana. This was a very talented group of athletes. Whether it was dropping into zone coverage to defend a pass play or cover a running back man to man, they all exhibited a high level of multidirectional speed. Coaching Insight #1 – The number one quality in athletics is movement. Competing at any level of athletics is impossible without the ability to move in multiple directions at high speeds. This includes physical and decision making competence. Reactive agility & change of direction movement are the two components of multi-directional speed. They are often used interchangeably when in fact they are different. Change of direction movement is when an athlete is asked to run in a single pattern or multi-directional pattern sequence. The athlete has an understanding of the drill demands, as there is no reactive component. A linebacker reacting to a running back in a man-to-man coverage drill is a reactive agility-based speed movement. It requires the defender to move through a pattern sequence and make a reactive decision based on the running backs spontaneous movement. This is what I call “Game Speed”. Coaching Insight #2 – In order to improve multi-directional speed, athletes must learn and practice a balance of fundamental movements, change of direction and reactive agility drills. Here is a sequence of drills performed daily in our program. We teach an athletic stance that’s allows athletes to move forward, backward, laterally and rotationally. This base position helps athletes position the feet and load the hips so they can move forward, backward, laterally and rotationally. This is the position they will land in and/or transition into before moving in other directions. Every successful movement begins with great body position. We perform fundamental drills to improve deceleration, acceleration and transitioning. We focus on the correcting the position of the torso, hips, inside and outside leg. We combine movement skills into multi-directional patterns. An example would be asking an athlete to shuffle for a short distance, crossover and sprint. This is similar to a base runner trying to steal second base. Here the athlete accelerates laterally, transitions rotationally and accelerates forward. These drills require both efficiency in movement and decision making abilities. Sport can be organized chaos at times. Athletes can strain the motor system when making a decision on the field, which can slow down reaction time. This is why we include reactive agility drills in our program. The more often an athlete has the opportunity to make decisions the easier it becomes. Athleticism becomes apparent when an athlete has to move in space to evade or defend an opponent. In our summer program we break down complex movements into learnable segments. Athletes become faster, move more efficiently and reduce potential for injury. If you want to unlock your athletic potential, this camp is for you! 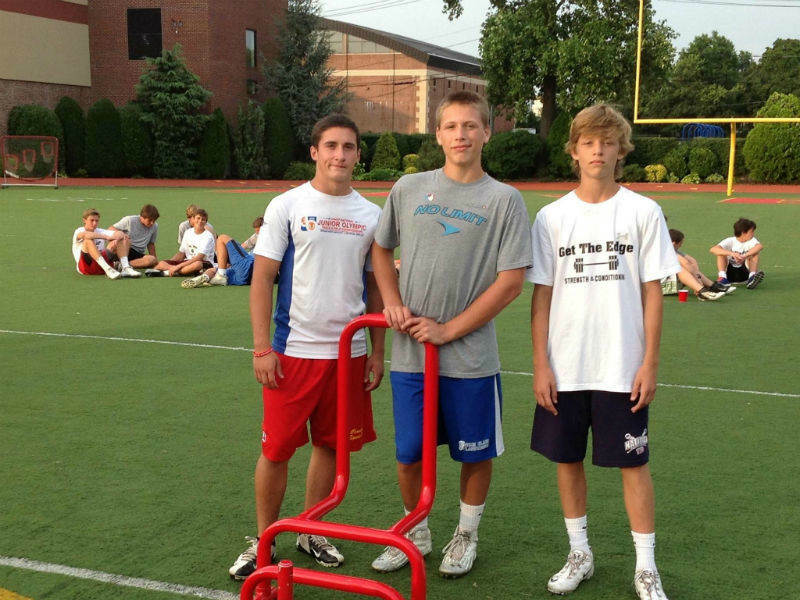 Our program is designed to enhance all components of athleticism. Athletes that are explosive, fast and healthy have a huge competitive advantage over those who simply focus on sport skills. It’s simple, the stronger, faster athletes win. The summer is a critical time for young athletes. It is the time to prepare for the upcoming season. However, instead of preparation, they are convinced to choose exposure. They travel all over the country to attend camps with hopes to be seen by college coaches. As a result they are not physically prepared. This leads to injury and/or below average performance. Today’s young athletes and parents must understand that you do not beat your opponent by playing more; you beat your opponent by out preparing and training smarter. 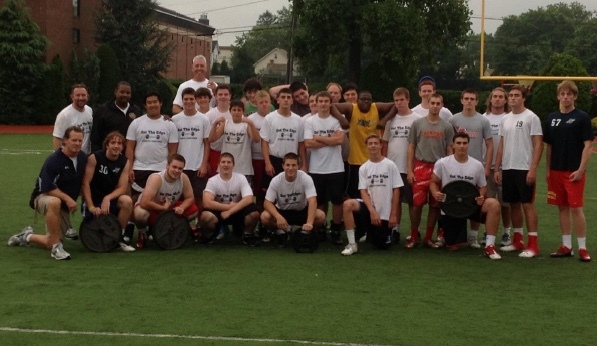 Our mission is to teach young men how to prepare both mentally and physically for their upcoming athletic season. Our program concentrates on enhancing the components of athleticism. This includes flexibility, balance, coordination, strength, speed, power, endurance, durability and self-confidence. By doing so we enhance injury reduction and instill a work ethic that will give each athlete “the edge” during and after their athletic career. Last year our program included student-athletes from the following sports: Basketball, Baseball, Football, Hockey, Lacrosse, Soccer, Swimming, and Wrestling. Its simple, either you get the edge or you give it away. Every workout follows a specific sequence that optimizes performance while avoiding over training. Warm-Up – enhance performance while decreasing risk of injury during training. Explosive Power – jumping, hopping, throwing, landing and deceleration techniques. Linear & Lateral Speed – increase first step, ten yard quickness & top speed. Agility – improve the ability to accelerate, decelerate, stop and re-accelerate at high speeds. Reaction – optimize the ability to react to a visual que or movement by an opponent. Strength – increase strength and power by performing ground based, multi-joint, and multi-directional exercises. Conditioning – sport specific that will enhance your ability to maintain high levels of effort for longer periods of time during competition. Its simple, either you get the edge or you give it away. In my last coaching insight, I spoke to you about how I assess athleticism. This included body position, movement, strength, speed, & agility. In the next series of training insights I am going to break down each component and explain the importance of each and how our program will help you improve each one. When watching a lacrosse, basketball or baseball game everyone tends to watch the ball. The next time you watch one of these events try to focus on the postures of the athletes. Observe the lacrosse player who changes direction the quickest or the basketball player who jumps the highest. Watch a short stop field a ground ball. If you pause the video at the exact moment before the athletes executes one of these skills, you will notice similarities in their stances. Although the sport is different, the lower and upper bodies resemble one another. This is the power-producing part of the body. The lower body is flexed at the ankles, knees and hips. The feet are aligned hip to shoulder width with adequate knee bend. The hips are pushed back. The trunk will move forward but not completely parallel to the ground. Look at their uniform and you will be able to see most or at least the top half of the number(s) on the jersey. The back is flat and the shoulders up. The head is in a neutral position. The athlete is now in control and has increased his chances at beating his opponent to the goal, grabbing a rebound or fielding a ground ball.